Squirrel hunting is possibly the best way to learn to hunt. It requires very little gear, usually has longer seasons (open year round in some states), and provides a good opportunity to practice moving quietly in the woods and do some off-season deer scouting, and squirrels are good eating. It also allows you to learn to skin and gut an animal, without having to deal with a deer or larger carcass that can be a bit overwhelming for your first time. You might think that squirrel hunting is easy, since you see them everywhere around where you live. However, squirrel hunting is actually fairly challenging. Where I live, there are basically two species of squirrel. 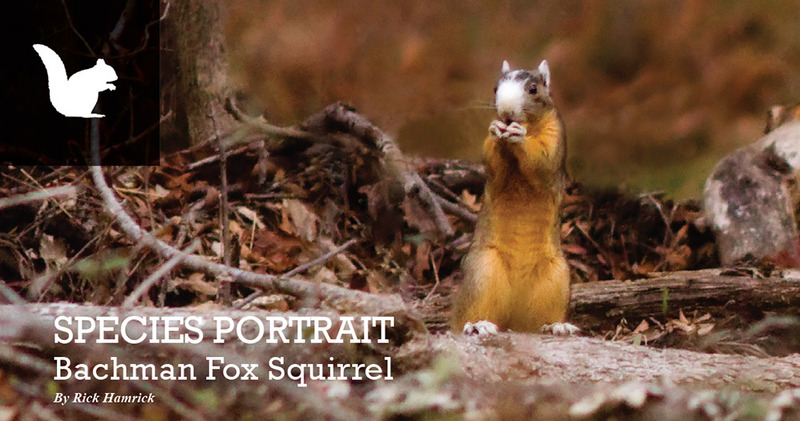 The eastern gray squirrel, and the fox squirrel. 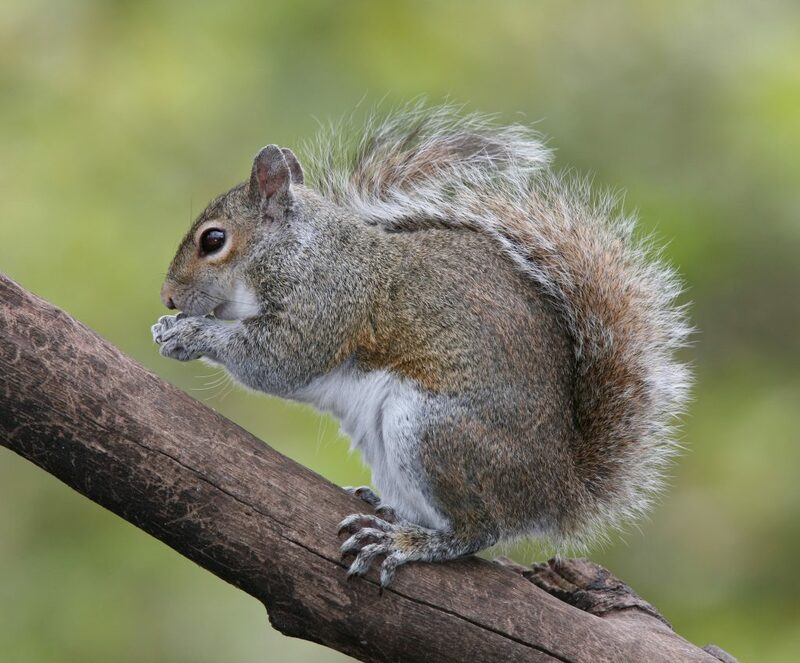 The gray squirrel weighs right around 1 pound, whereas the fox squirrel can weigh up to 2.5 to 3 pounds. I tend to find gray squirrels on the ground more often, and fox squirrels in the trees. 1 Which weapon should you use? 3 Where are the squirrels? Which weapon should you use? I previously discussed the types of hunting weapons available (see this post). Lets build upon that information and look specifically at the weapons commonly used for Small Game hunting. The main benefit of using a shotgun instead of a rifle is that the shotgun offers a larger margin of error. With a rifle, you have a single round leaving the barrel, and you have to be extremely accurate in order to make the kill. With a shotgun, you have some wiggle room due to the spread of the shot. As for the gauge, many people recommend either a 12 gauge or a 20 gauge. It is also generally recommended to use either 4 or 6 shot, with more people leaning towards 6 shot. I have also heard that shotgun shot can cut through the leaves better than a rifle round, but I’m not entirely sure why. Perhaps somebody reading this knows? If so, please comment below! There are a few disadvantages to using a shotgun for squirrel hunting. First, shotguns are louder than a .22 rifle. Also, the shot can end up in the meat, and you can end up with more meat damage than with a rifle. With that being said, its better to have a kill with some damaged meat than to have no meat at all. To minimize the meat damage, always try to get a head shot. Personally, I use a rifle chambered in .22LR when I go squirrel hunting. This is probably most likely a result of the fact that I do not yet own a shotgun. Rifle hunting for small game is more challenging than using a shotgun. This is because of the larger margin of error with the shotgun, as discussed above. As with the shotgun, you want to make sure you aim for the head. This not only guarantees a kill, but also prevents damage to the meat. The rifle is also quieter than the shotgun. Finally, and possibly most importantly, make sure that there is always something behind the squirrel to stop the bullet in case you miss. There isn’t much other gear required to go squirrel hunting. Camouflage will likely help, but it is far from necessary for squirrel hunting. Other hunters might suggest that camouflage is necessary, however in my opinion it belongs in the “nice to have” category of gear for squirrel hunting. If you choose a mobile method of hunting (e.g., Spot and Stalk or Drive Hunting), you will likely be doing a lot of walking. So comfortable footwear is necessary. Depending on where you live, you might be able to get away with tennis shoes (I personally would like to wear minimalist footwear, or running moccasins). However, if you live in an area that is mostly swamp and incredibly wet, you will likely want to wear some form of waterproof footwear like a good hiking boot. For me, living in a very wet and swampy area means that I am always wearing boots. Binoculars are strongly suggested as well. Squirrels are small, and they are pretty good at blending into the trees and branches. It can be difficult to see the squirrels in the trees. So having binoculars can be very helpful. I usually use a pair of 8×42 binocular, shown below (note that it is an affiliate link). So now you that have all of the gear that you need, its time to head out to the woods to find some squirrels. You probably think, based on the amount of squirrels that you see around your house, that it will be easy. Just walk out into the woods, and there will be tons of squirrels all over. Wrong! Squirrels in the wilderness are much more timid than squirrels that live around people. They spook very easy, and you might go a whole day without seeing any. There are some things that you can do to increase your chances of finding squirrels. Unfortunately, I won’t be discussing squirrel hunting in the snow, since I am not in an area where it snows. Look for areas with a lot of leaves and trees. The cover not only provides food for the squirrels, but it also provides protection from predators. Look for nut-bearing trees, such as oak trees, pecan trees, walnut trees, beechnut trees, etc. If available, squirrels will usually choose to eat beechnuts over anything else. Bring the squirrel to you! 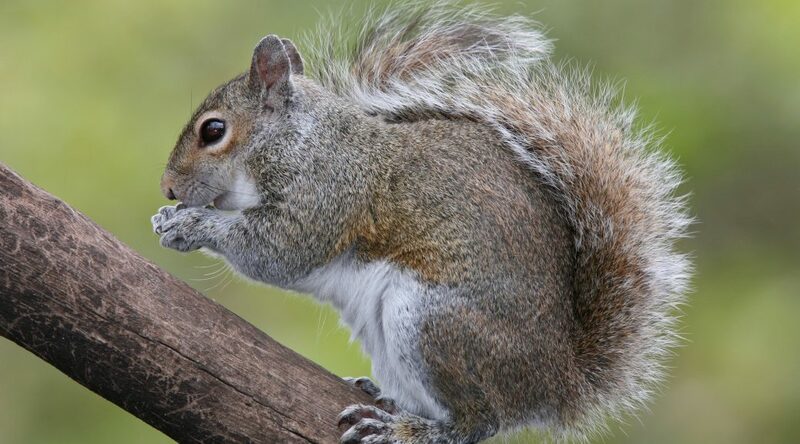 You can use any squirrel game call to try to get the squirrels closer to you. I’ve never done this, but the Primos 373 Hunting Squirrel Buster Call Pack is very well reviewed. Find where the squirrels nest. Squirrels will often next in large, dead trees. Typically these trees will have several holes in the trunk where the squirrels will enter. For this method, find a location that has a lot of nut-bearing trees. Once you find a spot that you think squirrels will frequent, sit against a large tree and wait. The quieter you are, the better your chances of seeing squirrels. Another good method for hunting squirrels is to spot and stalk. If you see a squirrel in the trees, you can slowly stalk to within shooting range. Squirrels spook very easily, so you have to pay special attention to where you are putting your feet, and put them down gently. This can be very good practice for stalking deer or other large game. You can also combine both methods. Stalk to within range of where squirrels are feeding, and then sit and wait for them to come back to the feeding area. With both methods, use your binoculars frequently. However, make sure you are using both your eyes and your ears to find the squirrels. There is a good chance that you will hear the squirrels well before you see them. The sound of a squirrel running on dry leaves, or the sound of debris falling from trees is very easy to hear.